The popularity of smartphones (90 percent of the population today own mobile phone) is already on it's pace, and so as the mobile app development. Certainly, m-commerce apps have become a necessity rather than an option as the demand is increasing. Since a couple of years, the transformation of mobile into a channel facilitating reliable and secured transactions like banking, payment, and ticketing took off its peak and hence, the dynamic presence of m-Commerce cannot be overlooked. 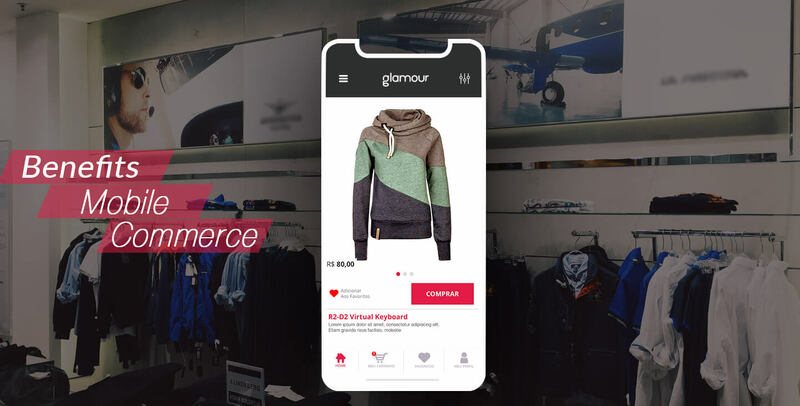 From the e-commerce trends, the retail industry is focusing on enhancing the user experience and customer satisfaction by introducing the store in the hands of their customers through the mobile app to build customer loyalty. In the present high tech world, both retailers and customers look for a standard and shared platform that ensures an effective business interaction, and mobile apps ensure the same. This will wind ample opportunities for them to offer customized and personalized buying experiences to consumers. Being a customer, what is the first thing you look for while planning purchase? Well, you will surely check the complete information about the services or products. Thus, with interactive and user-friendly business apps, retail business owners are able to provide the full information to their target customers which will ultimately help them to make a fast decision. For instance: You can provide the full range of information from featuring your products or their images or videos, simply integrating customer reviews, to create robust shopping experiences for the users. This will build trust factor of customer and boost the sale of your products. With the increasing usage of Smartphones, apps have become an integral part of business marketing. Apps are effective business marketing tool itself, thus retailers can market their products and services automatically with mobile apps. Customers can gain complete information as well as share them on social media platforms. Thus, connecting with wider clientele-base is easily possible within a limited budget as well. Customer loyalty is one of the most important aspects to boom your business. Making offers through apps as such early bird discount, deals and coupons attract the customer base, and this help to make direct sales pitch. When you offer personalized services to a customer it strengthens consumers’ loyalty towards your product. Various built-in features provide unique customer experience. For instance; GPS has access to track the location and allow retailers to offer location-based discounts and offers, which attracts the users. Further, camera function allows clients to take pictures of products and share with friends and family, which indirectly promote your business without much effort. A recent survey reveals that with the huge dependency on smartphone,(86 percent of respondents have an e-commerce app and 59 percent use their app several times a week.) customers rely on retail apps which has increased the necessity for m-commece app development. Moreover, mobile apps are unobtrusive and first prefer over web-based stores. Mobile commerce app convenient and provides a personalized user experience. Further, it has the tendency to encourages return customers. NEXT POST Why Choose Best Wordpress Development Company?